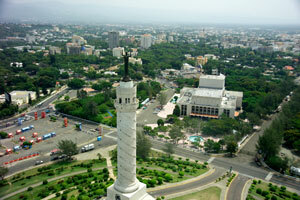 Santo Domingo is the capital of the Dominican Republic. It is a vibrant, constantly developing city of approximately 1,400 square kilometers and home to more than 2 million people. Santo Domingo was the first settlement established in the New World and is considered the cradle of evangelization in the Americas. This historic situation has made the city one of the main locations for the filming of movies inspired by events of the 15th century. In recent years, however, Santo Domingo has become a modern city with a developing infrastructure of tall buildings, highways, a subway system and other transportation options. Having served as the set for films such as “Godfather II,” “Havana” and “La Fiesta del Chivo” (The Goat’s Party), has consolidated Santo Domingo’s relationship with the Seventh Art. 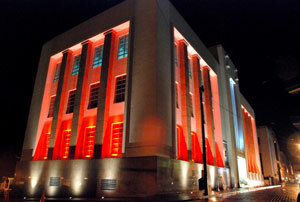 The sixth edition of the Dominican Global Film Festival will screen movies at several venues in the capital, including the Autonomous University of Santo Domingo (UASD), the main office of the Fundación Global Democracia y Desarrollo (FUNGLODE), the Eduardo Brito National Theater, Palacio del Cine, the Auditorium of the Museum of Modern Art and Plaza España. The FUNGLODE headquarters, inaugurated in November 2003, are located in a modern building, set up with the necessary equipment to offer educational, training and scientific activities; to support specialized research projects; and promote the use of information technology.With a capacity of 180, the auditorium is equipped for simultaneous interpretation in four languages. It is also equipped with high fidelity sound, television studios capable of live transmission feeds. 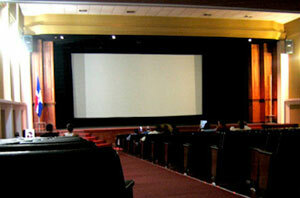 The Dominican Cinematheque is one of the most prestigious film venues in the Dominican Republic. This seventh art institution functions as part of the General Directorate of Film. Its main goals, in accordance with the Dominican Film Law, is to safeguard the Nation’s cinematographic heritage as well as disseminate national and international cinematic values. The Cinematheque, according to its regulations, must promote a critical interest in the seventh art throughout the country and foment research in cinematic material. This important institution will once again be a venue for the 6th edition of the Dominican Global Film Festival. 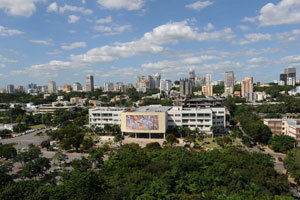 This is the most modern cultural center in the Dominican Republic and the Caribbean. Throughout its four floors, visitors can learn the detailed history of the arrival of the first telephone to the Dominican Republic. The fascinating story of the pioneers of radio and television of our country, the first phones, the first installations and the first users are all on display in these halls. The evolution of computers, information technology, the Internet and the latest technology are all here, on Isabel La Católica Street in Santo Domingo. This center also has a media library with more than 75,000 audio and visual documents that can be consulted for the making of an audiovisual documentary of the Dominican Republic. 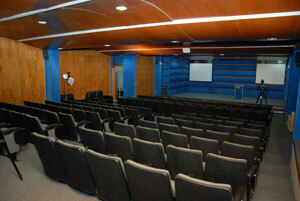 The Telecommunications Cultural Center has a modern auditorium, with a capacity to seat 144 people. The modern equipment here includes a Dolby Digital 7.2 sound system, a film and HD projector, a 9 x 16 foot screen, two robotic cameras, a simultaneous interpreting system and a video conference system. ITLA (a higher education technical institution), specializing in technical-professional training, is providing its installations to the Dominican Global Film Festival. 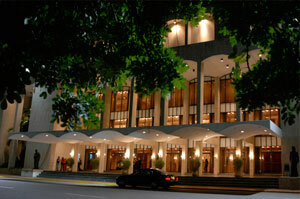 Film projections, panels and workshops will be held at their main headquarters on Avenida de las Americas highway. 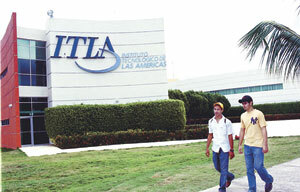 The Technological Institute of the Americas (ITLA) is a technical level institution dedicated to information, communication, production and the optimization of resources and processes that use an advanced educational training system to impart productive values to critical citizens and those wishing to contribute their knowledge to advance technology with the goal of improving individuals as well as society as a whole. and cultural complex with an infrastructure unique to the country. Located in the Villa Juana neighborhood, the building houses a club, a health clinic, an elementary and high school, a theater that holds 425 people and a library, among other things, all of which make this complex a social and cultural center of extreme importance in the city. The Palacio del Cine movie theater chain was born in Santo Domingo in 1970 as an initiative of Gustavo Turull and Margarita Mayol de Turull who, in the early years of their marriage decided to start their own business. This is how the “third run” cinemas got started in the popular areas of Santo Domingo as well as the open-air movie theaters. Some of these open-air theaters were the Coloso, Marlboro, Montecarlo and Cinzano. In 1976, the business began to expand with the opening of the “first run” theater: the Palace Cinema on 27 de Febrero Avenue with the new concept of two big screens, each with seating capacity for 500 viewers. Thus, the business has been growing and expanding. In 1986, Palacio del Cine acquired Wometco Dominicana, a company that, at the time, was the owner of the Naco, Triple, Doble and Plaza Movie Theaters. As time passed and many changes occurred, most of the existing locales became different types of businesses and new multiplex cinemas replaced them. The theaters are more comfortable with their new stadium seating, friendly service, much larger screens and better quality sound thanks to the latest technology that provides viewers with an unforgettable experience. In Santo Domingo, Palacio del Cine will host the Dominican Global Film Festival in the luxurious viewing halls of the Blue Mall and new projection spaces in the recently shopping center: Ágora Mall. Designed by the architect, Teófilo Carbonell, the theater was created in 1973, as part of the collective project of the Cultural Plaza. Its large stage, the Carlos Piantini Hall, has a capacity for 1,589 spectators. offer an elegant, classical image. One of the city's metro stations is onsite. The Autonomous University of Santo Domingo (UASD) was created through the Papal Bull In Apostolatus Culmine, on October 28, 1538, decreed by Pope Paul III, making it the oldest University in the New World. 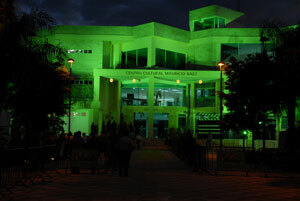 Manuel del Cabral Hall, with seating capacity for 360 spectators, will be one of the venues for the Film Festival. This hall is part of the Pedro Mir Library, which was conceived with the objective of functioning as a resource center to provide support for teaching, learning and research in service of the UASD and the country. 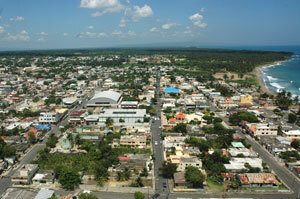 Santiago de los Caballeros is the Dominican Republic’s main provincial city, located in the province of Santiago. In Santiago’s 2,389 square kilometers, such activities as farming and agro-industry have given this city a relevant economic status and consolidated it as the second most important in the country. and a long cultural tradition of keeping folk art, in all its expressions, alive and well. Santiago, a friendly city, the land of beautiful women and great food are the characteristics the city will have on display as it hosts the Dominican Global Film Festival at the Auditorium of the Santiago Regional University Center (CURSA) and Palacio del Cine. 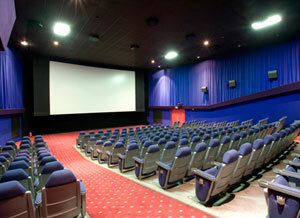 The Palacio del Cine at the Bella Terra Mall has six screening rooms: 1-VIP, 1-3D and 4-standard. It offers direct service to the seat in the VIP screening room, and the transmission of the films in either standard or Dolby Digital 3D format. The spacious waiting room where the candy store is located has several TV screens showing movie trailers or advertisements and offers tables and chairs where patrons can wait comfortably. 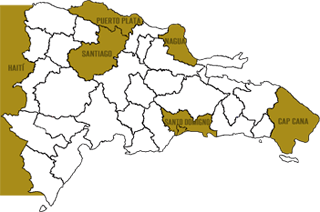 Also part of the Autonomous University of Santo Domingo (UASD), it is located in the second most important city in the country: Santiago. Inaugurated in May 2005, it was set up in the community of La Barranquita and has facilities for more than 10,000 of the region’s students. The academic headquarters have five educational buildings, a library with 75,000 books, 79 classrooms and many green spaces and plazas. The auditorium can seat 404 people. Bathed by the waters of the Atlantic Ocean, Puerto Plata is one of the country's main tourism spots where people come to enjoy its 125-kilometer coast, known as the "Amber Coast." 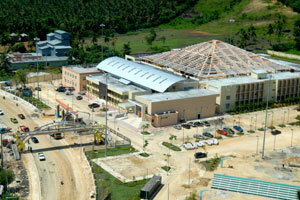 Puerto Plata's hotel and rum industry add to the attraction. Puerto Plata's community, made up of immigrants from various places, is home to one of the country's most diverse cultural centers. On a daily basis, Europeans, North Americans, Dominicans and visitors from many other countries converge in Puerto Plata's main plaza and seaside boardwalk, known as the malecón. Puerto Plata will host the Dominican Global Film Festival at the Auditorium of the Regional University Center of the Atlantic (CURA) and and the Amhsa Grand Paradise Hotel with its "Cinema under the Stars". 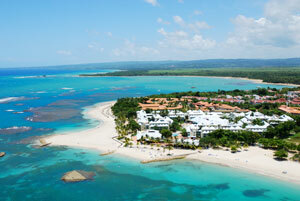 In Puerto Plata the gold coast will merge with the celluloid of the film screens. This is an extension of the Autonomous University of Santo Domingo in Puerto Plata and has been functioning since August 2006. It serves over 2,000 students at its main campus of 35,000 square meters in a series of buildings with classrooms on three floors. There are 72 classrooms in all and three laboratories of Science, Tourism and Law. It also has ample plazas and gardens along a lake that forms part of this building’s beautiful landscape. The Dominican Global Film Festival will use the 360-seat auditorium to screen films for those who attend this most important film event in the country. Thanks to the support of one of our patrons, “Amhsa Marina,” the Dominican Global Film Festival will be held along the shores of the Amber Coast, honoring the name of this beautiful beach. The Grand Paradise Playa Dorada will be the venue to view films under the stars with the background sound of the Atlantic Ocean. Playa Dorada is located twenty minutes from Puerto Plata International Airport and some fifteen minutes walking from the center of the city. Nagua is a warm city where motorcycles and friendly residents mix together along the beaches that are bursting with coconut palms. As capital of the province of María Trinidad Sánchez, Nagua is famous for its fresh seafood barbecued on the open grill. 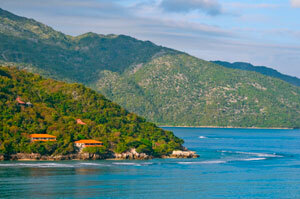 It is also known as the entrance to the well-known Samaná peninsula. This medium-sized city and its population of around 60,000 people rely on three important rivers that nourish their farmlands, making agriculture the main commercial activity here. The Film Festival will be calling all residents of this eastern coastal area to enjoy movies at the Regional University Center of Nagua (CURNA) and to be part of this unprecedented event. 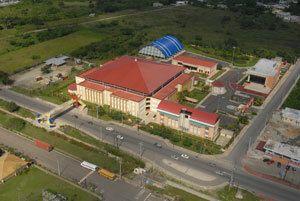 An extension of the Autonomous University of Santo Domingo (UASD) in Nagua, the Province María Trinidad Sánchez. The university was inaugurated in August, 2007 and is comprised of three 4-story buildings, tourism and physics labs, a library with 10,000 books, a parking lot for 500 vehicles and green areas. 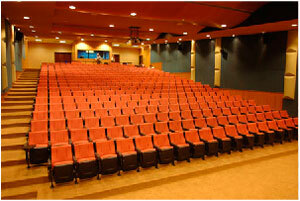 The screening auditorium can hold 292 people. It is regarded as the most important resort, hotel, and real estate development in the Caribbean; bettering the natural characteristics of any world class development with a quality of life where active lifestyles reignite to take hold of spectacular golf courses, deep sea fishing, and nature trails. Cap Cana is home to the Punta Espada Golf Course. Designed by Jack Nicklaus, Punta Espada has been home to the PGA Tours Champion’s Tour for three consecutive years, and has been listed by Golfweek as the Number One Course in the Caribbean and Mexico for four consecutive years. Cap Cana’s fully operational Marina, surrounded by elegant shops and gourmet restaurants, harbors boat slips available for yachts up to 180 feet in length. Cap Cana also offers world class spas, exclusive memberships to exquisite clubs, a wide variety of activities and amenities, and an education district which includes the country’s leading private school and university campus - the multilingual Cap Cana Heritage School and UNIBE (Universidad Iberoamericana) University. 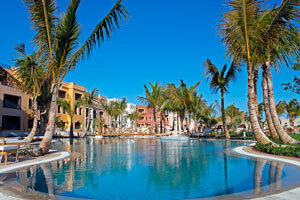 It is filled with luxury accommodations for its visitors, including: the Sanctuary Cap Cana Golf & Spa; the Fishing Lodge; the Eden Roc boutique hotel; the world renowned Caleton Villas; Sotogrande at Cap Cana; and Golden Bear Lodge, further to Cap Cana's condominium units and villas already finished and available to rent. Cap Cana's infrastructure and utilities are second to none, with power-generation facilities including 34 megawatts of energy already installed, 46 kilometers of paved roads, and 21 more kilometers in the process of completion. Cap Cana’s property is also equipped with modern water, irrigation, and sanitation grids, along with a cutting edge fiber optic telecommunications network. Blessed with pristine white sand beaches and year-round sunshine, Cap Cana's natural beauty makes it a versatile tourist destination: The ocean, the beach, the cliffs, and the tropical forests combine together to make Cap Cana an exquisite natural asset. The Festival will hold its traditional "Movies under the Stars" in the Fishing Lodge of this prestigious vacation complex, giving viewers great cinema to be enjoyed along with the exquisite warm breezes in the Dominican Republic's most eastern point. 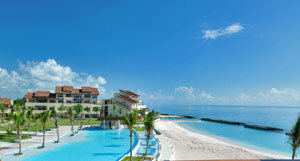 Fishing Lodge Cap Cana, the highly anticipated luxury resort development on the Eastern tip of the Dominican Republic, opened to guests as a Salamander Marina & Beach Resort on October 12, 2011. Fishing Lodge includes over 302 spacious, Mediterranean villas, 220 of which are available to resort guests, with stunning marina views and designer furnishings. Villa owners and resort guests have access to the nearby secluded beach, a delightful two-minute ride by private watercraft. The Lodge is located within a masterfully designed seaside village which surrounds the largest inland marina in the Caribbean and includes two restaurants, two bars, four pools, a chapel and elegant boutiques on both Main Street and the plazas. Fishing Lodge residents and guests also could enjoy children’s activities, boat rentals, sport fishing and nautical provisioning. Haiti, our sister nation, is the first Latin American republic to gain its independence from the Spanish crown and is the birthplace of Alexandre Pétion, one of the four founding fathers of the country. According to World Bank, Haiti has a population of 10 million people. 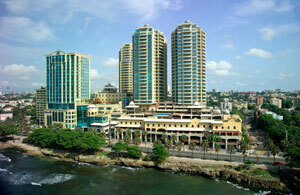 Haiti’s film industry suffered a setback due to various factors, the most pressing being the 2010 earthquake. However, the desire to move forward is still alive. The seed is being germinated in its film students who continue documenting social issues through experimental films and documentaries. We must stress that, the active and praiseworthy participation of Haitian directors like Arnold Antonin and Raoul Peck and Festival friend and actor, Jimmy Jean Louis, have worked tirelessly to show that Port- au- Prince has talent to export and to make Haiti, among other things, a first class film destination. The Dominican Global Film Festival will continue screening excellent films in Haiti as part of our modest effort to inspire, entertain and support our Haitian brothers and sisters with whom we share this island. 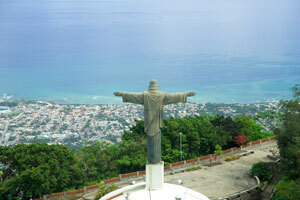 Port-au-Prince, the capital of Haiti, is located in the bay of La Gonave Gulf. 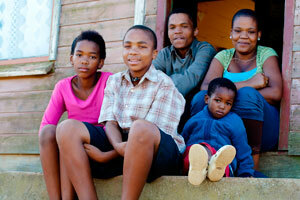 The population is 704.776, according to a 2003 census. The main monuments and places of interest include: the University of Haiti, the Royal Palace, the National Museum, the Cathedral of Notre Dame of Port-au-Prince, the Bicentenary of Haitian Independence and the boardwalk of the city’s pier. Devastated by a 7.0 earthquake in 2010, Port-au-Prince continues to struggle to improve conditions in the city. Nevertheless, along the city’s streets one can still see old movie theaters that bring to mind the love of the seventh art that our Haitian brothers and sisters continue to enjoy.